I have eaten a lot of cassava or yuca tuberous roots but never eaten the cassava leaves. I have been very curious to cook and eat them. I have read that Africans and Indonesians eat the leaves. The leaves need to be prepared by boiling them in an uncovered pot or pan in order to release the toxin known as hydrogen cyanide. Ingesting a large amount of this toxin can cause death. Some people use a mortar and pestle to mash the leaves to a pulp. I chopped the leaves and put them in a blender with some water and puree them to bits. Despite having to grind the leaves and cooking them for 1 1/2 hours they are still a bit pulpy. If you do not like pulpy food then this is not the meal for you! I actually find this dish to be pretty tasty. My family would not eat the leaves since they believe they are poisonous. Also they have plenty of other greens to eat which required less work to prepare. 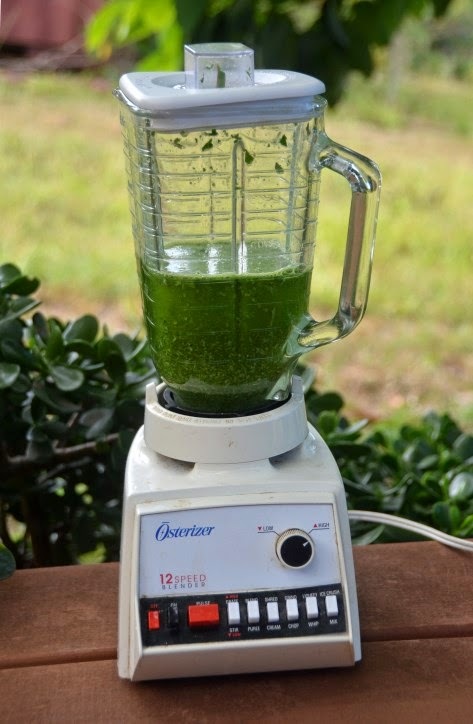 1) In a blender puree the cassava leaves in 1 cup water. May use a mortar and pestle to pound the leaves to a pulp. 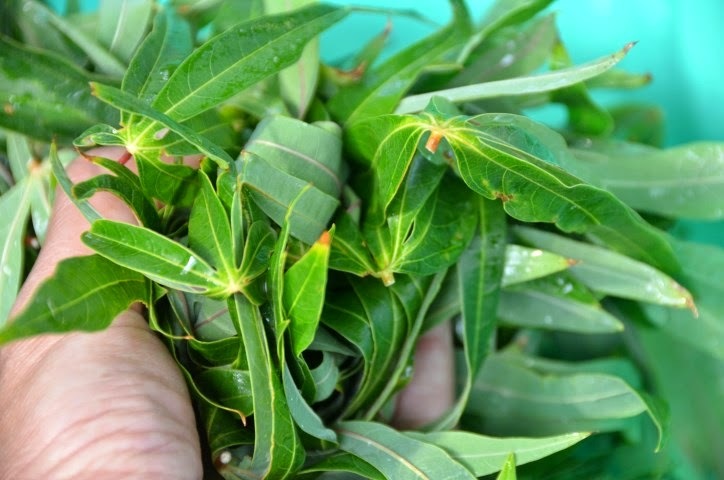 2) In a small pot boil the cassava leaves uncover for 20 minutes (preferably cooking outside your home due to the toxin). Strain and rinse with cold water several times. Set aside. 3) Rinse the pot with water and heat it over medium high heat. Once the pot is hot add oil. 4) Once the oil is hot, add onion and garlic. Saute for about 1 minute or until the onion is translucent. 5) Add cassava leaves and 2 cups water. Once it boils turn heat down and let it simmer for 1 hour. 6) Break the meat into small bits and add to the pot. 7) Add fish sauce and sugar and cook for another 1/2 hour. Add more water if contents become too dry. *May substitute wild boar for another meat. *I served this meal with hot steamed rice. 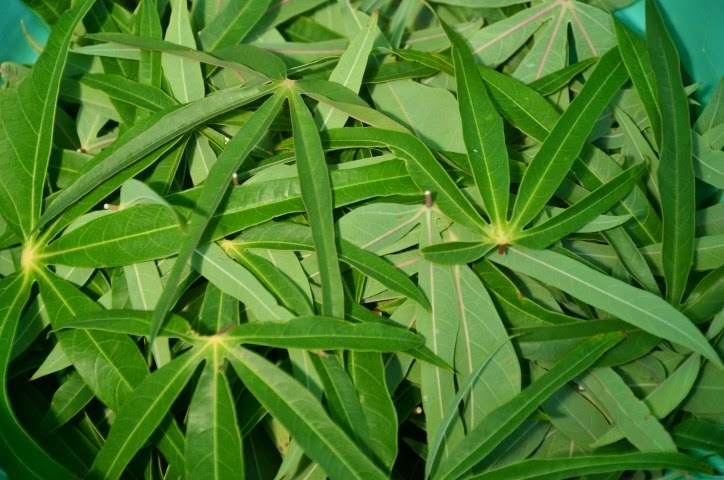 *My mother grew up with cassava growing around her and she has never seen flowers or seeds growing from them. The reason may be that once the cassava tubers grow large enough they are harvested for food before flowers or seeds have a chance to develop. 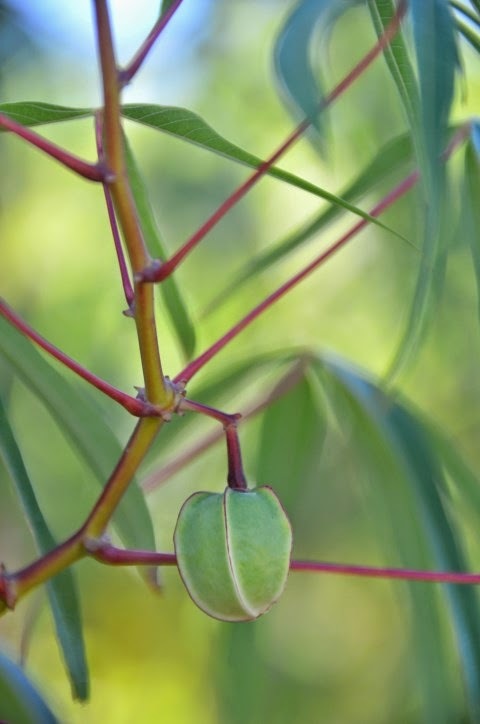 The photo above that I took on Maui is of the cassava seed. I really love the look of this plant; the red-purple stems, the finger-like leaves, delicate pink flowers and segmented seed pods.